Can Hajj and Umrah be commercialised? 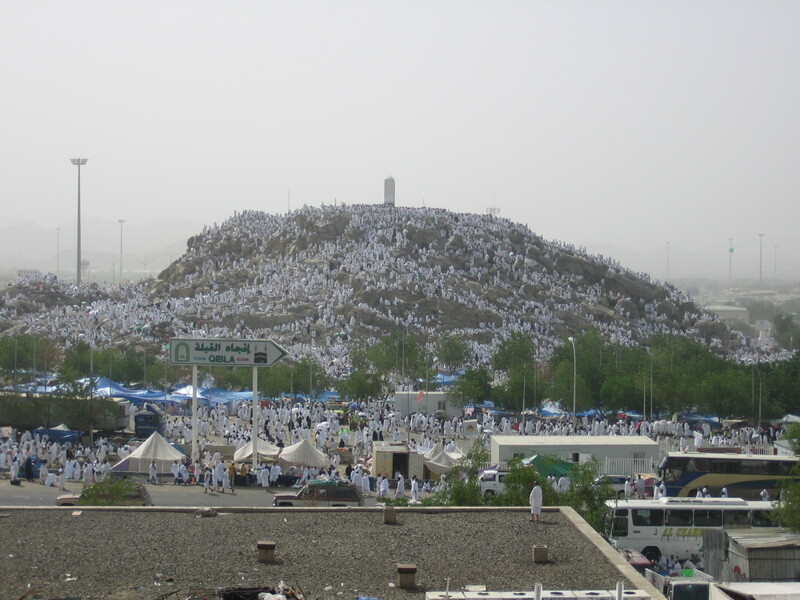 These are religious rituals; in fact Hajj is one of the pillars of Islam. But the commercial aspect is where people or going concerns provide services like air transport, accommodation and other logistics to the pilgrims to facilitate the observance of this devotion. 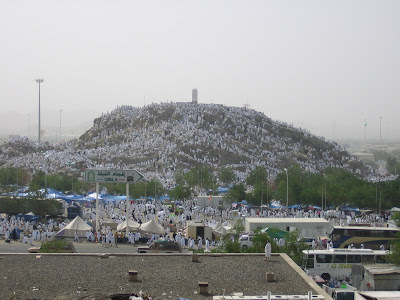 Such service providers are known as Hajj tour operators. This symbiosis between pilgrims to the House of Allah and Hajj tour operators makes them share in the reward of undertaking this duty without diminishing what appertains to the other. Hajj tour operators, therefore, should see themselves not as business adversaries but as associates in service delivery to the guests of Allah, who assist each other in ways that will simplify this pillar of Islam to their clients. Hajj and Umrah business is a unique enterprise which enriches practitioners in substance as well as in recompense. It behoves Hajj tour operators, then, to conduct their operations professionally so as to fortify their corporations, strengthen the industry, and gain reward from the Law-Giver. The above realisation has skipped some Hajj tour operators in Nigeria. They view Hajj and Umrah business as business, period. Their turnover is what matters most. The pilgrim’s duty is to pay for the services they advertise, and theirs is to collect such payment and fulfil their part of the bargain in a way that will guarantee maximum profit at the expense of their clients. Such miscreant Hajj tour operators invent lies and outright falsehood against sister-companies, competitors in business parlance, in the industry, to woo a larger part of the market to themselves. They stop at nothing to soil the image of the “rivals” and even spy on their activities. Yes, competition, healthy competition, quickens business development; it enhances innovation, forces companies to be more efficient and brings about the provision of better services to clients at reasonable cost. Yes, Hajj tour operators should vie with one another in the provision of service to pilgrims, but that competition should be devoid of mudslinging, lies and manifest untruth. The service delivery industry is a thankless profession, we must not forget. Do not expect any expression of gratitude from the client, though many pilgrims do that. But bear it in mind that whatever you do some pilgrims will find faults in the operation, and that is not bad. That should be viewed as feedback from the customer; note it and see how best to avoid repeating it in subsequent operations. At times your pilgrims will utter uncomplimentary remarks against another Hajj tour operator that they patronised in the past. Fear Allah and avoid speaking ill of your brethren in their absence. Just listen and resist giving any opinion that is likely to injure a fellow Hajj tour operator. We are all involved in this; the same pilgrims will say similar or worse things against you to another operator. Let us all accept and appreciate the fact that the Nigerian pilgrim who desires to use the services of Hajj tour operators has myriad options at his disposal. He has more than 150 companies to choose from. Do not distress yourself; do not speak ill of your brethren in the industry, when a pilgrim you served this year fails to return to you during next year’s operation. Just do your best, and give the highest standard of service. Allow the pilgrim to sample and experience what your colleagues offer. He will come back to you, surely! Hajj operation has a lot of complications, much of which the pilgrim may not know but only the savvy tour operator can discern. You will spare yourself unnecessary bashing from and negative publicity by your pilgrims if you let them know your limitations in Hajj operations from the outset. Let them know that you don’t issue Hajj visas; the Saudi Embassy does. You cannot determine or hasten the time for release of passports from the embassy. Passports can even be misplaced and may not be seen in good time for the owner to travel on their scheduled date. Anomalies in visa on pilgrims’ passports, disappearance of passports after submission for visa at the embassy, and, in some cases, discovery of such passports without visas printed on them are not what make a bad travel agent. This can happen to anybody regardless of their experience; you cannot do anything to avert this. We in the business know this to be everyday occurrence. Often times, you can submit 200 passports for visa; by the time you collect them, 10 of the passports may belong to another company, and yours could be elsewhere. This does not mean all of you are not good companies or have done a bad job in handling pilgrims’ travelling documents. The confusion was created during collation and collection of passports at the embassy. In such cases, the Hajj tour operator will act, like a professional, if a novice pilgrim comes complaining about poor services of a company based on his bad experience on the issue of visa, missing passport or appearance of passport in another office other than the one he has made payment for package to. You should fear Allah and explain the situation to the uninitiated. Experience is priceless. The Qur’an teaches us, if we do not know, to ask those who know, the experts, in everything we want to do (Al Ambiyaa 21:7). Hajj tour operators will serve pilgrims better by working and assisting each other in operational matters. Ask if you don’t know. Do not copy blindly (I have seen plagiarised information from my company’s brochure on more than one agency’s brochure for instance), or be part of a Hajj tour operator’s contingent as pilgrim-imbed to see how to conduct Hajj operation. So, today, he is a pilgrim, and tomorrow, a new entrant into the Hajj tour operation business. Welcome to the league! But you will not learn much by surreptitious design. Being part of the contingent, you are like any other pilgrim. You are taken from one place to another, checking in and out of hotels and boarding buses from point A to B. You’ve not seen the bigger picture of planning and the effort that produced the flawless operation that you witnessed. Some of us will not travel to Saudi Arabia to make contact with partner-service providers and plan ahead for coming pilgrimage. They contend themselves with waiting for the release of brochure by serious companies, plagiarise it word for word – the design, package price with slight variation, and even copy the terms and condition of service verbatim! This business is not done this way. How can you blindly adopt someone else’s condition while you are aware that what you offer is inferior to the standard of service offered by the company? If you do not know how to paste, do not copy! Why can’t people use their brain and their own initiative? What do you do if your entire Hajj brochure is plagiarised by another tour operator? Nothing. Just praise Allah for granting you the intellectual property that could be purloined by the lazy. Afterall you will get the reward for setting the standard and leading the way in the business. The Glorious Qur’an praises those who give out of what Allah has provided for them (Al Baqarah 2:3). The experienced Hajj tour operators are duty bound, therefore, to share their knowledge to those of their colleagues in the business that are less endowed with operational expertise in the Hajj and Umrah business. The goal of every stakeholder in Hajj is to make the observance of one of the pillars of Islam easy for the Guests of Allah, the pilgrims. Now people are preferring to get Cheap Umrah Packages because of short of time they consider to agencies who provides all package. If I want to travel to Saudi Arabia for Hajj or visit, how can I do this as a female who doesn't have a Mahram? I really like reading this post. This is a very useful and helpful blog for me. After reading this blog, I got to know much more information's. Keep sharing. Amazing and a very in formative blog. Keep sharing. Online, You will get the numerous choices of hajj and umrah. In our hajj packages 2016 we provide the following services: obtain visa, return flights to UK airport of choice , accommodation in 3 to 5 star hotels within walking distance of the Holy Mosques in Makkah and Madinah, private internal transportation, and tour of the holy cities. Amazing and so informative blog. Thanks for sharing so useful information best blog and keep sharing!!! Very beneficial blog.Thanks for sharing with us. if you are from Muslim Community of UK and want to make your journey comfort towards MAKKAH for Umrah or Hajj then choose our Umrah Packages 2017. Hajj is an annual religious pilgrimage to Mecca undertaken each year by 2-3 million people. The approximate dates for the 2017 Hajj are August 30 to September 4..
Pilgrims and traders travel to the city and acquire accommodations in Best Hotels in Madina through Haramayn Hotels and enjoy the beauty of the holiest cities. Book your Cheap Flights to Accra Ghana From United Kingdom with FlightsPedia.